About Speedy Bail Bonds NJ - Get Out of Jail Quickly! At Speedy Bail Bonds, we provide fast service throughout the state of New Jersey. We treat you with respect and confidentiality and guarantee to get to you in less than 1 hour. Being arrested is very stressful and embarrassing. You, your family and loved ones may feel overwhelmed and lost in the legal system. We understand. Our knowledgeable and experienced New Jersey bail bond agents will guide you through each step of the process. Call Us Now! Don’t Spend a minute longer in jail. Lingering in jail can result in lost wages as well as disruption and stress on your family. We will be there as quickly as possible to help you navigate the legal system and return home. Trust us to keep your best interests at heart and provide you with speedy service. The First steps in being released. Full legal name, birthdate and Social Security number (if possible) of the arrested party. What jail is he or she in? Is it a county, city or federal facility? If you are unable to get this information, it’s okay we will still be able to help. Federal bail bonds: Issued- defendants accused of a federal crime. 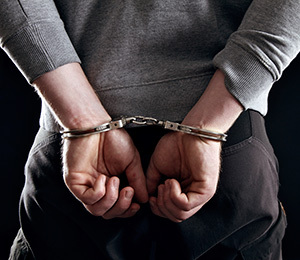 Surety bail bonds: When there are conditions on release, such as drug treatment programs. Contact Speedy Bail Bonds using our phone number or email. Call us now and we will come to you within an hour, day or night including weekends.